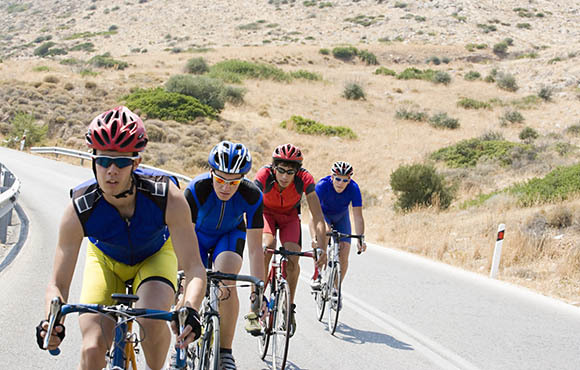 There are a basic rules every cyclist should follow to ride properly in a group. It will keep you safer and help you to have more fun out on the road. The problem is that few cyclists know and follow these simple rules. 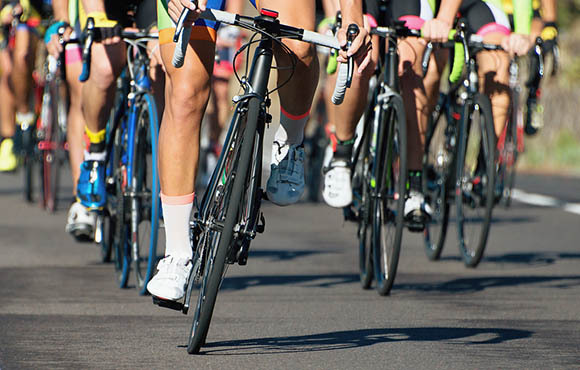 Whether you're new to the sport or a veteran on the bike, these 10 rules and refreshers will help you on your next group ride. 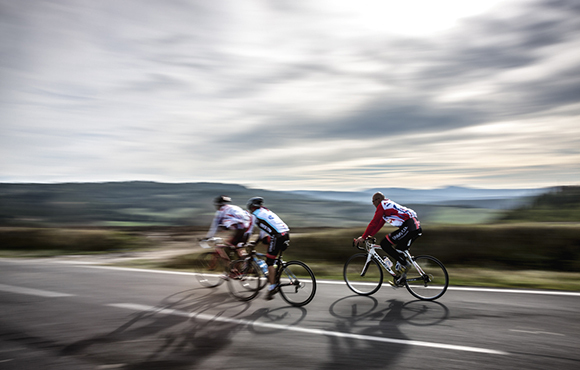 A group ride is NOT a race. You are not to "attack" off the front or try to show everyone how strong you are. That's what races are for. This is probably the most important rule. Whenever riding in a group, you should be riding two by two, side by side (with only a few centimeters between you, you should not be able to fit a bus between you and rider beside you) and be perfectly handlebar to handlebar. Do not at any time sprint ahead and disrupt the flow. Even if there is a corner coming up, stay side by side and go through the corner like a well-oiled machine. Riding with your bars ahead of the rider beside you is called "half-wheeling" and is a major faux pas. It's up to you to keep up with the speed of the slower rider next to you. Try to keep to the side of the road. There is no need to take over the whole lane and annoy car drivers. As with everything, there is an exception to the rule. 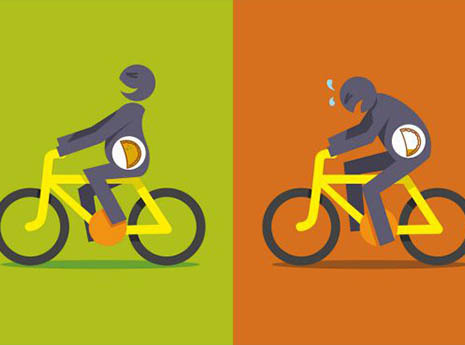 If there is an uneven number of riders in the group and you don't have anyone to ride alongside, you should place yourself in between the two riders ahead of you, with your front wheel between their two rear wheels. This allows the riders behind you to remain bar to bar and to keep the group tightly together. 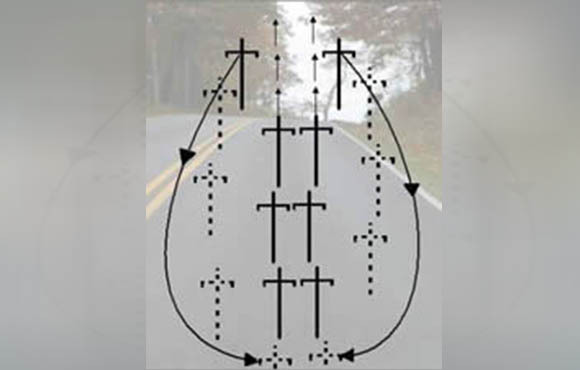 The riders behind you should ride with their front wheels on either side of your rear wheel. It's not acceptable to sit directly behind the rider ahead of you and leave a gap to your side. It might seem that riding between the wheels of the riders preceding you is unsafe, but if everyone is riding bar to bar as they should be, you are guaranteed the space of a handlebar's width within which to move, which should be ample. 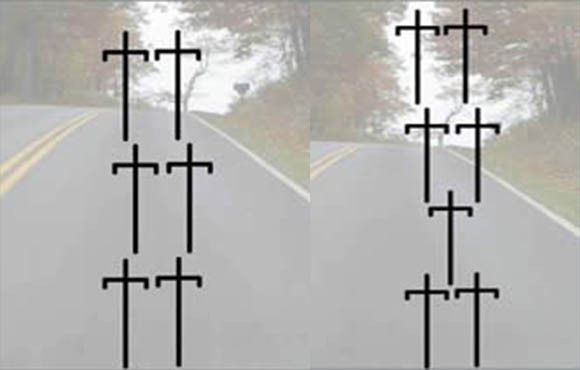 So even if the two riders ahead of you knock into each other, you should have plenty of space. This is a pretty safe place to be. When you're tired of riding at the front and you feel it is time for you to go to the back, make sure the rider beside you knows you are tired and want to go back. 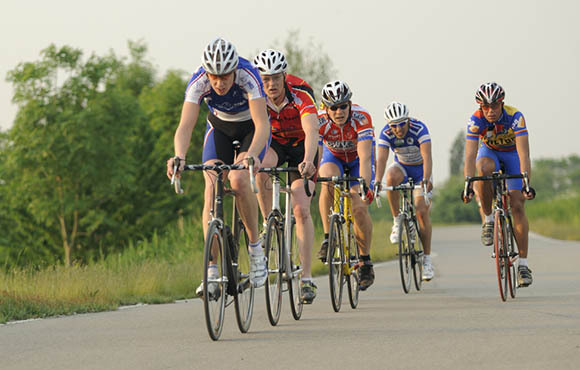 Once you have both established that you are going back, check briefly that there isn't someone overlapping your back wheel, then both riders slowly and gradually move to the outside and let the group come through the middle. Do not suddenly veer off to the side; peel off in a steady and controlled manner. When the two riders ahead of you peel off, it's your job to come through to the front and pull the group along. If you do not want to ride at the front because you are tired or less fit than the rest of the group, it's too late to avoid it now. Once you are in second wheel, you must come through to the front. Don't speed up or get out of the bar-to-bar formation. Maintain a steady speed, squeeze through the gap and go to the front (see below). When the two riders ahead of you peel off, don't slow down and look around. Maintain your speed and go straight through without hesitation. If you don't want to go to the front, sit at the back and let the riders coming back from the front of the group slot in ahead of you. It isn't acceptable to work your way up to the front of the group and then slow down because you don't feel strong enough to be at the front. If for whatever reason you do find yourself at the front, go through and take what is known as a token pull. You go to the front for a couple seconds, agree with the rider beside you that you are both peeling off, and go to the back. There should be no gaps in a group ride. As soon as you see a gap, fill it by riding into the space in a steady and controlled manner. There is no need to sprint into the space and then slam on the brakes, just gradually fill in any gaps as soon as you see them. If you need to go to the back of the group, or need to move away from the side of road because the road is damaged or obstructed, just steadily move in whatever direction you want to go in. The key to all group riding is to do things gradually and steadily. Even if there is a rider right next to you as you pull out to the side of the road, if you do it gradually, the other rider will naturally have time to move over with you. If you do anything sudden you will likely cause a crash. This is also very important when peeling off and filling a gap. All obstacles should be warned of by a simple hand signal. When you see an obstacle in the road ahead of you, put your hand down and give a signal that lets the riders behind you know in which direction they should go to avoid it. Traditionally a quick wave of the hand will suffice. Most of your riding partners won't hear you anyway, and if they are close enough to, you don't want to startle anyone taking a drink from their bottle and cause a crash. If you only see the obstacle at the last minute, ride through it! Better to get a flat than to take down the whole group. On the subject of obstacles, please only point out those that are worth pointing out. "What obstacles are worth pointing out?" That's simple. 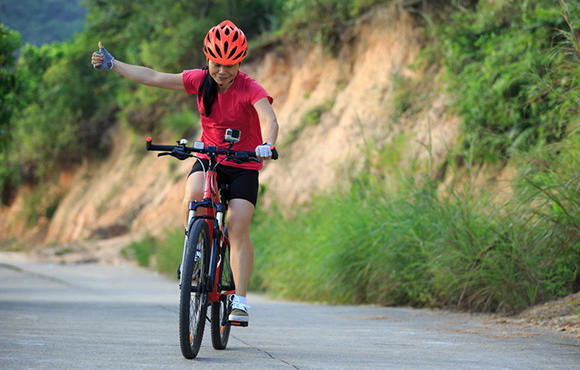 An obstacle worth pointing out is one that will damage a bike or person behind you. Don't point out manhole covers unless they are deeply set in the road, leaves, small cracks in the road surface, or other objects that aren't truly hazards. As I said before, yelling is a big no-no. You don't see the pros riding around Europe on their preseason training camps yelling at each other when they come upon a car, hole, gravel, or red light. The problem is this: When you're more than two riders behind the person yelling, all you can actually hear is a general sound being yelled. So while everyone should be keeping their eyes peeled for general speed changes and obstacles, suddenly the majority of riders are looking around wondering what the obstacle is that has just been yelled out. No one actually knows if you have just yelled hole and have not pointed it out. This may cause some riders to scan to the left, other to the right and center. Other riders might think you yelled car. It is a confusion that should be avoided. This is probably the biggest crash causer on group rides. For some reason, when someone slows down ahead of them, a lot of riders jump for their brakes and yank the heck out of them, almost skidding and taking everyone down with them. 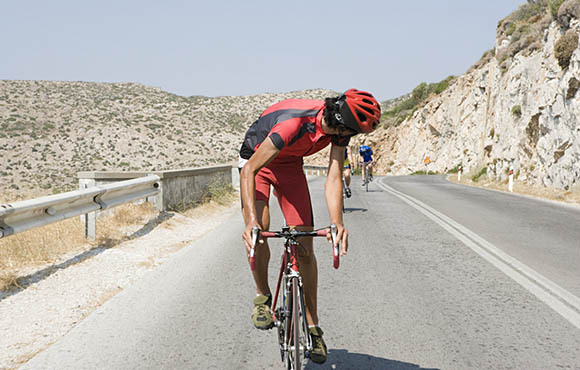 You should be riding ever-so-slightly to the side of the rider in front of you, so when they slow down you either stop pedaling and start to slightly overlap your front wheel with their rear wheel, or you touch the brakes gradually and use the "wheel overlap" as a buffer zone to avoid slowly too suddenly for the riders behind you. 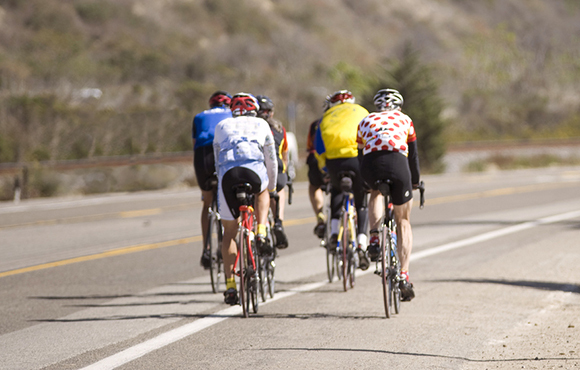 These tips come from very simple principles that aim for general safety during a group ride. Try your best to stick to them and spread the good word to your fellow newcomers to the sport. Happy riding! PezCycling News: We tap into what's cool in elite level pro cycling and make the news fun. Check out our off-beat rider interviews, top level tech reviews, weekly training and fitness articles, cool stories on top rides, race news and reports the way we like 'em, the lovely Daily Distractions and cool stories you can't find anywhere else. Get Pez'd today.